Families, individuals and first responders in need of personal care items, cleaning products or laundry services in the wake of the Nebraska flooding. 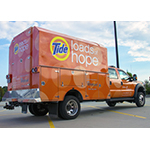 Two Tide Loads of Hope Mobile Laundry Units have been deployed to support relief and recovery efforts in the wake of the devastating flooding in Nebraska. The Tide Loads of Hope mobile laundry vehicles will begin services in Fremont and Bellevue on Saturday, March 23, providing free full-service laundry services to residents affected by the recent flooding. Residents can bring clothes (up to two loads per household) to be washed, dried and folded free of charge for those directly impacted by the flooding. All washable clothing types can be accepted with the exception of heavy bedding. P&G will also distribute free personal care and cleaning kits with everyday essentials to those in affected neighborhoods and areas. The flooding in the Midwest has destroyed an extraordinary amount of homes and businesses. The area has seen devastating effects of the flooding, with three lives lost to-date and more than 2,000 homes and businesses destroyed. P&G has a history of giving back to the communities where we live and work, and we want to provide everyday essentials to those who need it most to help bring a sense of normalcy in this time of need. These services are free and available to people affected by the disaster and the volunteers who are helping to respond. Starting on Saturday, March 23, the team will collect laundry from 9:00 AM-5:00 PM CT in Fremont and Bellevue or until a collective 300 loads are reached (two loads per household). The team will also be distributing personal care and cleaning kits directly out into the affected areas. 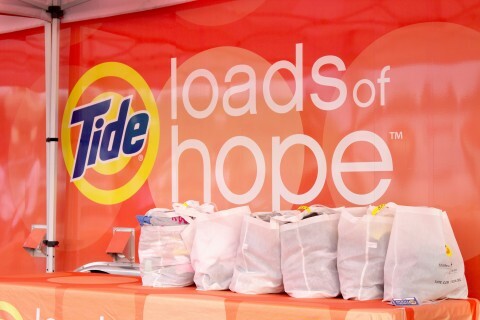 ABOUT TIDE LOADS OF HOPE: In 2005, P&G launched Tide Loads of Hope to provide much needed laundry services to families affected by Hurricane Katrina. Since that time, Tide Loads of Hope has washed more than 70,000 loads of laundry for more than 50,000 families impacted by disasters across the U.S. and Canada. 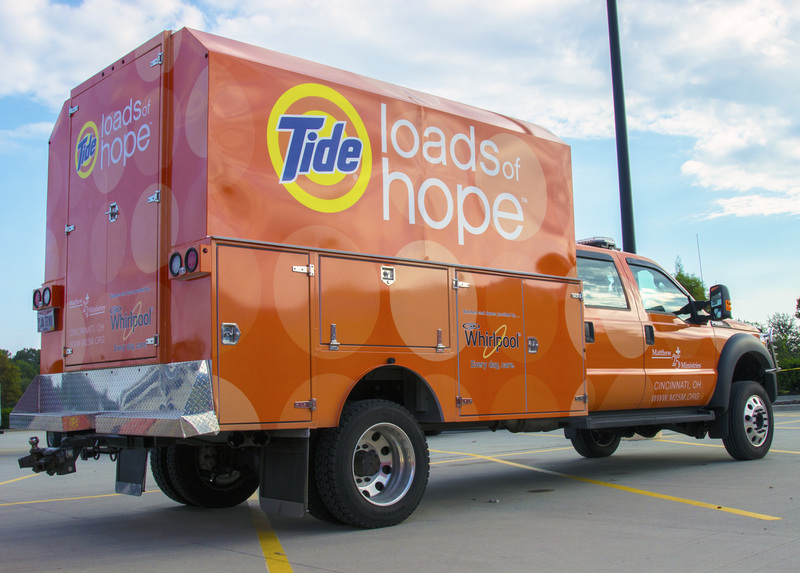 The Tide Loads of Hope trucks are equipped with high-efficiency washers and dryers donated by Whirlpool and can do up to 300 loads of laundry per day for communities in need. PRODUCT KIT BRANDS: Personal care kits contain P&G brands including Always, Crest, Head & Shoulders, Ivory, Gillette, Old Spice, Oral-B, Pampers, Pantene, Secret and Venus. The cleaning kit contains Bounty, Charmin, Dawn, Febreze, Mr. Clean, Swiffer and Tide. P&G provides these services in partnership with Matthew 25: Ministries, an international humanitarian aid and disaster relief organization. More information can be found at www.m25m.org. 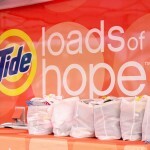 People across the community can help support Tide Loads of Hope by purchasing a Tide Loads of Hope vintage t-shirt or by donating directly at www.tideloadsofhope.com. $4 from the sale of each tee goes toward helping families affected by disaster.